Learn about Bitcoin and Lightning by actually running a Node. Improve your personal data and wealth security with multisig key management. Take back control of your personal data. Also – Casa Gold Membership is one of the best deals on the Internet. Not only are we saving you money by packing $500+ of value into a $300 price point, but we are also saving you time with an easy onboarding process and expert support. If we do our job right, then the next time a friend asks you about Bitcoin and Lightning, you can simply recommend they buy a Casa Node with the Gold Membership. We’ll take care of the rest! So what exactly do you get with Casa Gold Membership? We believe managing cryptographic keys will one day be a critical part of every person’s life. Today keys are difficult to store and manage. With Keymaster we make it easy for anyone to manage their keys and the data protected by those keys. We’ve worked hard to make multisig -- the ultimate in security with the ability to protect funds using multiple keys -- accessible to anyone. This is your gateway to the multisig security world. Our Basic Multisig is 2-of-3, and is perfect for getting started (Basic Multisig is not recommended for anyone managing $100,000+ in funds). For each transaction you send, you’ll need to approve it from your phone and your hardware key. This provides significantly more security than a single signature keyset. You can even keep your hardware key in a different location than your phone (such as a bank safety deposit box or office safe), which helps protect you against in-person attackers trying to steal your bitcoin. If you ever lose your hardware key, you won’t lose access to your funds - you can simply swap it out and do a recovery transaction using the Mobile Key and the Casa Recovery Key. As a Gold member, you get unlimited recovery signatures (while our Silver members have to pay each time they use the Casa Recovery key). We’re now rolling Basic Multisig out to our private beta users, and we’ll be launching it to the public in the next few weeks. In addition to Basic Multisig 2-of-3 keyset, you also get a single key stored directly on your phone. This is only meant for storing small balances, because it’s much less secure than your multisig keyset. Think of it like cash you might carry around daily—you only carry what you’re willing to lose if your wallet gets stolen and in return, its fast and easy to send. We’re constantly thinking about features to keep you safe. We live in a world where malicious people know they can steal bitcoin by attacking you in person and forcing you to send it to them. To help protect against physical attacks, Casa Gold, Casa Platinum, and Casa Diamond members have access to the Emergency Lockdown feature. 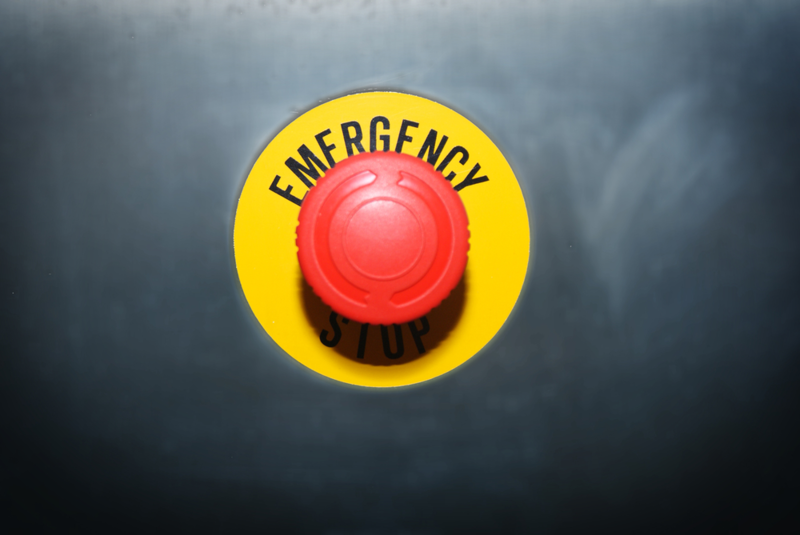 The Emergency Lockdown button is only accessible from your Casa iOS or Android app, and it immediately locks down the entire app and most API access for your account. You can only unlock it by proving to a Casa customer service rep that you’re safe. After completing your Basic Multisig 2-of-3 setup, you may go months or even years without needing to execute a transaction. An absolute worst-case scenario would be to attempt a transaction after 5+ years, only to find that your hardware wallet has deteriorated or your mobile phone key is no longer working. To guard against this scenario, we’ve built in a Health Check feature to allow you to execute a test signature on any key without executing a full transaction. Run a Health Check once a month or a few times a year. Then you can be confident that your multi-signature cold storage setup is healthy and working well! 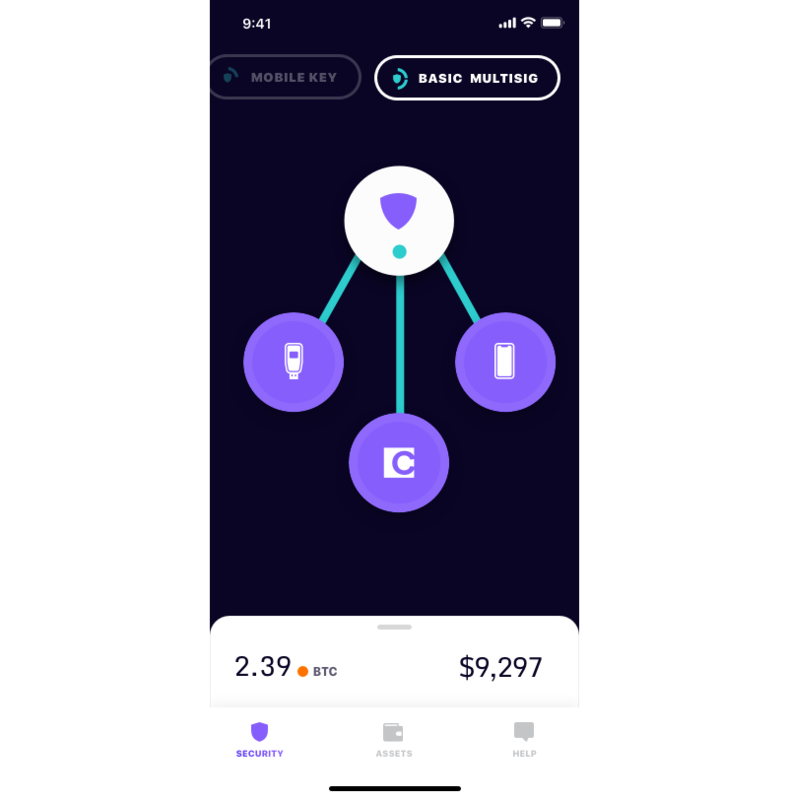 Customer support built in, advanced UTXO management, and much much more is also packed into the app. And this is only the start! We’re excited to bring even more Keymaster features to you soon. The Casa Node is the best way to run a Lightning and Bitcoin full node. We’ve designed it to be plug-and-play without any coding experience required. When you run a Casa Node, you’re joining thousands of sovereign individuals around the world in helping to secure the Bitcoin and Lightning networks. Some people have asked if our new subscription model means that your Casa Node will stop working if you cancel your Casa Gold subscription. The answer is NO. This device is yours, and you will continue to get software updates for as long as we release them. We can confirm that we plan to release new versions of the Casa Node every 1-2 years, and your Gold Membership will guarantee you first access to any new devices (which are already included in your next year’s membership cost!). So you can keep your existing device, but the only way to get fast and first access to new devices and features is to continue membership. Our team spends a lot of time and money upfront to get each Casa customer setup. Membership pricing with a yearly flat-fee is the best way to invest in a longterm client relationship, while also creating an incentive for our team to create new technology every year to both win your customer loyalty and keep you safe in a changing security environment. Already bought a Casa Node? You'll be getting a year of Casa Gold for free. Keep an eye out for more info on claiming your membership this week. In support of our principle “designing for lifetime relationships,” we always try to go above and beyond with our product offering and how we treat customers. We normally recommend using a brand new hardware wallet device when setting up a multisig keyset. Many people don’t have a hardware wallet, so we’ve decided to include a hardware wallet in every Node + Gold membership purchase for use in your Basic Multisig 2-of-3. If that wasn’t enough, we’re also including a custom-designed Casa Faraday Bag. 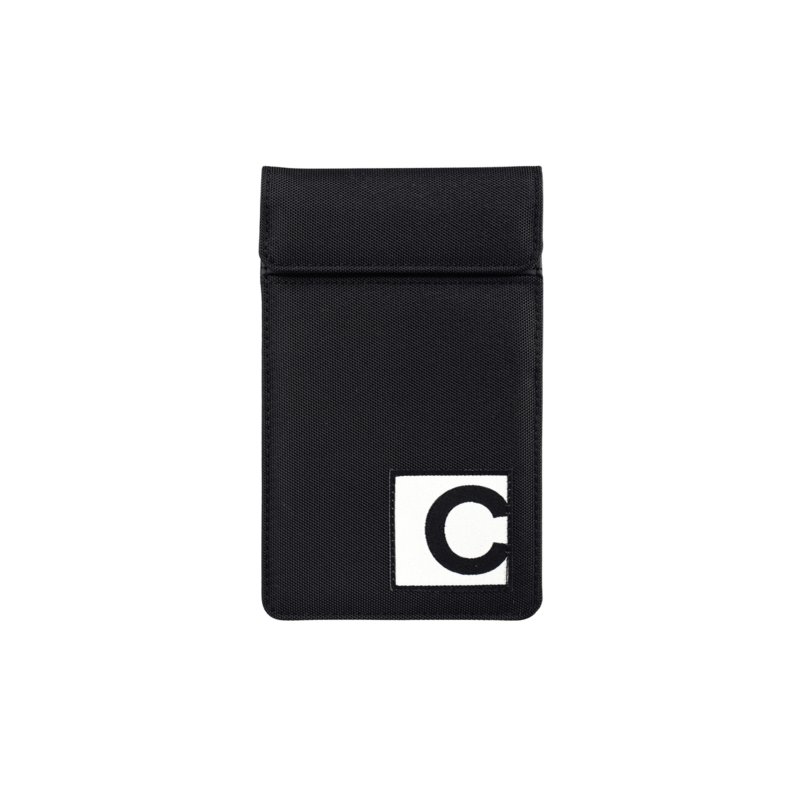 This will help you securely store and travel with your hardware wallet, and is one more way we’re thinking of the little things when it comes to maximizing your security. We pride ourselves on our customer service. In an industry that has been lacking in customer service, we’ve made it a top priority. When you become a Casa member, we provide you with all the tools you need for your personal sovereignty journey. But more importantly than those tools, we also provide you with the support needed to stay on your journey. Devices and software will sometimes break, but Casa support will always be there to help you get back on track. Strong customer service is a core pillar of our organization, and we will do whatever it takes to help Casa members achieve their personal sovereignty goals. At Casa, we minimize customer data collection and storage, and built out a fully independent customer support infrastructure to make sure outside companies won’t see your data. We do this because we strongly believe in our “Can’t Be Evil” principle. Most of the software built during the Web 2.0 era collects, trades and even sells massive amounts of customer data as part of the business model. This is absolutely unacceptable. If we collect and store extensive information on our customers, that information could potentially be used against our customers in the future by malicious parties. We encourage customers to be careful what information they give to the companies and products they use, and to always ask questions. We’re always here to answer questions about how our systems are designed. Casa is a business designed to do well only when our customers are safe and secure. Because we don’t sell customer data, we have to charge for our products. Web 2.0 companies offer a free product by selling your entire personal life to the highest bidder. We’re pioneering a new model that puts you and your security first. Under this new model, Casa charges you a flat fee once per year to deliver a bundle of sovereignty tools. Every year that you’re a member, we’ll be bringing you totally new and updated products and services! We believe that this model best aligns our goals with those of our customers. We’re establishing lifetime relationships as we give you the tools and services you need to maximize your personal sovereignty and safety. Those tools will evolve over time, and the best way for us to keep building and improving in our customers’ interests is by striving to keep our customers for life. Get Your Gold Membership Today! It's easier than ever to begin a journey of personal sovereignty. Already have a Casa Node? We'll be sending more info on claiming your free year of Casa Gold later this week.